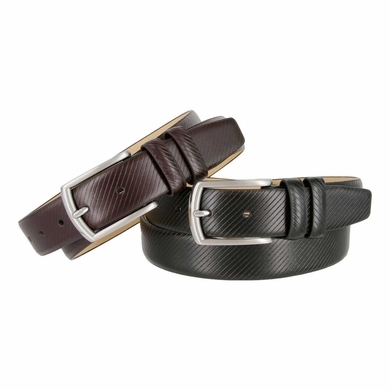 A genuine leather belt embossed with a diagonal stripe pattern, featuring a brushed nickel buckle. Backed with soft synthetic suede. 1-1/4" wide.